On the Facebook campus in Silicon Valley, nine companies gathered in a room and presented their product and ideas to a room filled with investors. It was the culmination of a 13-week program as part of the Springboard Mobile Accelerator, a London-based program that focuses on mobile companies seeking to make it big in the market. Participants came from all around the world, including from South Korea, Shanghai, Romania, Berlin, London, and Silicon Valley. Throughout their journey, TNW has been following along and each week we’ve shared a video of their progress (you have been watching it, right?). Working out of Google’s campus in London, England, each startup received intense coaching from a group of advisors while having to work hard to make their ideas come true. In the end, each company presented to over 150 investors in London, 100 investors in New York, and now faced another group in Silicon Valley — all within a five-day cycle. Similar to Y Combinator and Techstars, Springboard seeks to help companies get their footing. Companies receive a £15,000 investment from the accelerator in exchange for 6% of the business. 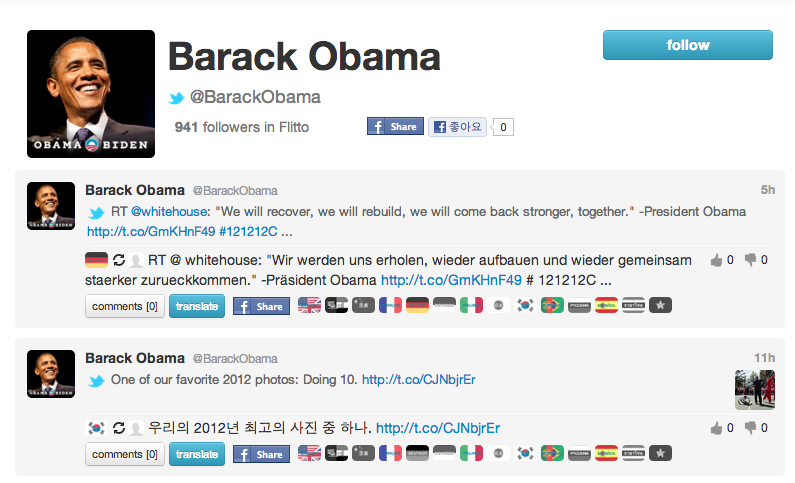 A mobile crowd-sourcing translation platform, Flitto generates value by having its users read social media and content from their favorite celebrities and brands in their own native language. The company is looking to help crush the language barrier and within five months of existence, it has already amassed over 1 million users and says it’s growing 25% month over month. Through the use of game mechanics, Flitto hopes that it will incentivize users to translate faster and more accurately. 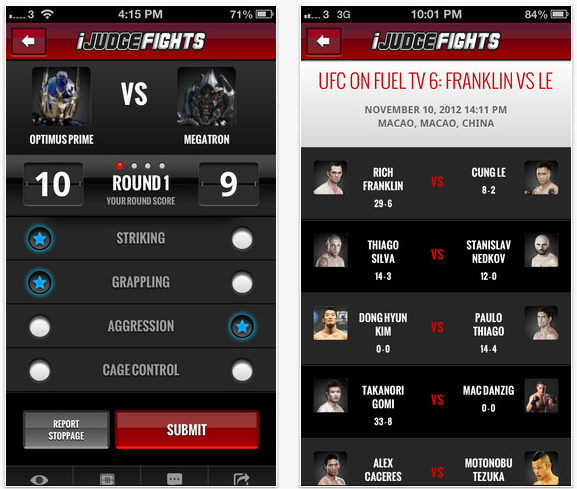 Calling itself the “Ultimate App for Ultimate Sports”, iJudgeFights is a real-time social-scoring platform that lets users be the judge of what happens at the event. Focused specifically on Mixed Martial Arts and Boxing fights, it’s goal is to bring fans into the action instead of them yelling at the TV or referee when a controversial call or score is made. The service says it will aggregate, visualize and publish viewers’ point of view in real-time so that others can view what you say and respond. With more voices being heard, iJudgeFights believes that it can be incorporated into the broadcasts, giving analysts some more content to work with. And it has paid off for the company — beginning in January 2013, the service will be incorporated into live telecasts of the Legend Fighting Championship bringing it to more than 120 countries around the world and 279 million homes. In a bit of a twist to AirBnB, We Are Pop-up is a UK-based startup that focuses on helping commercial retail property owners fill up any empty space with temporary stores. Pop-up stores are short-term retail contracts and We Are Pop-up believes that it’s an effective way to test new shops. It’s a new way for those companies that are online to bring their services to the offline and meet their customers in real life. 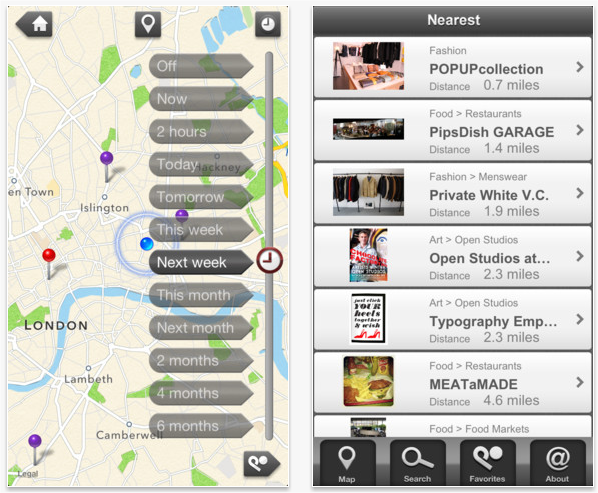 Businesses can create profiles and request space to run a shop. Landlords see this and can strike a deal with the interested business. We Are Pop-up says that through the use of tenant history, press coverage, social media statistics, and rich media, it can help “de-risk tenants” and better place businesses. Right now, retail agents, landlords, and property services pay a subscription fee to use the service, which is based on volume and the value of the retail space. Currently the service is only available in the UK, but it tells us that expansion to other parts of the world is in the future. 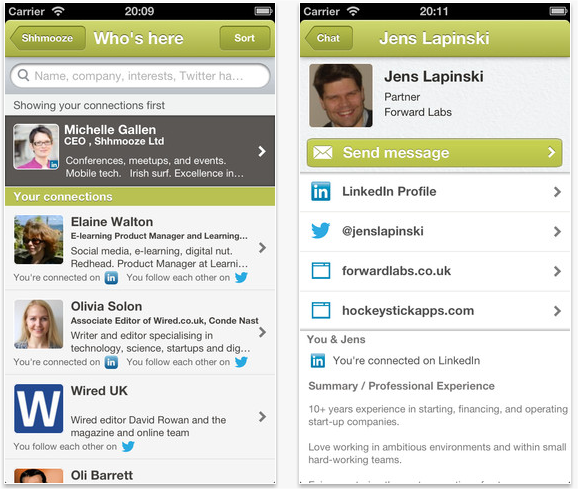 Shhmooze is a networking application that is great combination of Plancast with LinkedIn. Focused on the conference and event space, it takes the attendance list and helps users sort out who’s there and how they’re connected. The company says that the goal is to help make the most of your precious time when you meet people in real life. So far, it has helped 5,500 users connect with over 100,000 professionals and is looking to grow its presence in the US and UK. Sure, it sounds like Highlight, Banjo, and Sonar, all location-based services, but what Shhmooze hopes to prove itself as is an app that helps busy professionals better vett who they want to interact with so that their time is well-spent. Calling itself the “ultimate companion app for sports fans”, ApptheGame is focused on providing a platform where fans can “bond with their teams” online. A bit similar to what OnSports and other sport applications offer, the one thing that seems to separate itself from rest is all the activity is centered around the team, not a specific game or event. Fans will not only be able to chat about their favorite teams, but also receive news, statistics, and even enable some friendly competition against others in a test to see who the biggest fan is. 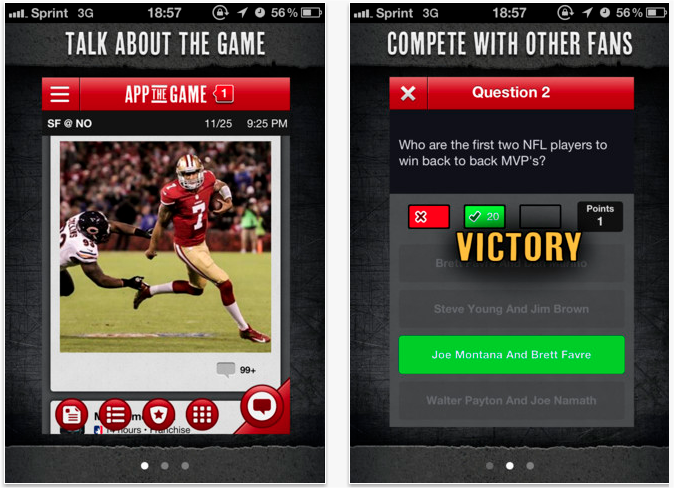 ApptheGame says that there are three areas for it to monetize, including participating in legal fantasy sports betting, through sponsorships/advertising, and data syndication — naturally it could be a big recipient of data from fans who love to share insights about their favorite teams. While in live beta, the company says that it had a 74% retention rate within the last 30 days and the app has been downloaded more than 10,000 times, ranking it number seven in the iOS app store for top-free and sports apps. Read next: Dropbox acquires music streaming company Audiogalaxy - but why?